The Bridging Finance Association of South Africa (“BFASA”) consulted with Senior Council, Adv. Francois van Zyl SC between June and August 2018 in order to ascertain his opinion in respect of certain aspects of bridging finance transactions and arrangements between conveyancing attorneys and the bridging finance companies and their respective clients. What is set out in this note is a summary of his opinion which BFASA hopes will be of use to such conveyancing attorneys and the bridging finance companies and their respective clients. Conveyancing attorney firms handle transfers of properties and other conveyancing transactions on behalf of their clients. As part of such transactions, their client may have a requirement for bridging finance specifically related to that transaction. In order to satisfy such client need, they refer the client to a bridging finance company. The view of senior council was sought in relation to the conduct of such payments. Rule 32 of the Rules for the Attorneys Profession applies. In terms thereof, the Attorney Firm shall NOT receive such reward in whatever form unless it has been disclosed in writing to the client and obtained the client’s written consent. This may constitute a conflict of interest. Rule 32 of the Rules for the Attorneys Profession likewise applies. This applies unless the employee acts in an unauthorised manner in which scenario, this may then be a corrupt practice in terms of Section 3 of the Corruption Act. 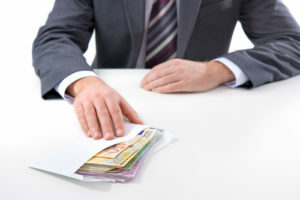 Furthermore, it is of Council’s opinion that failure to disclose such payments or interest to a client may amount to fraud, albeit a civil fraud. The opinion suggests that where there is such conflict of interest, the action of the Attorney should be brought to the attention of the relevant Law Society. In view of the above, BFASA intends supplementing its Code of Conduct with a provision that reasonable written steps should be taken by a member of BFASA to ensure that Rule 32 has been complied with by the attorneys.